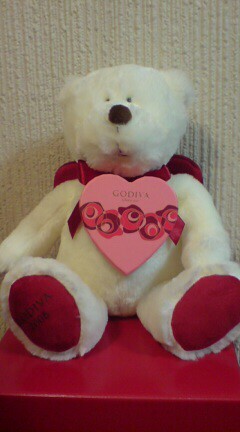 GODIVA bear : What’s mean White Day in Japan ? This bear was sold for Valentine’s day in the states, but it is sold for White day in Japan. White day is on March 14th, exactly one month after Valentine’s Day, men who received gifts of chocolate have the chance to return the favor by giving the women who gave them gifts of chocolate a more expensive box of chocolate or sweets.